The Bald Eagle became the official emblem of the United States of America on June 20, 1782, because of its long life, strength, majestic looks and because it is native to North America. 7 comments on "Happy 4th of July"
Hooray, America! Happy independence day! I'm off to watch the fireworks! And we are going to have this awesome barbecue! 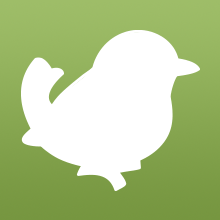 http://1.gravatar.com/avatar/dd3673786399c5503c8421e562242f81?s=80&d=http%3A%2F%2Fwww.birdorable.com%2Fimg%2Flayout%2Fempty_gravatar.gif%3Fs%3D80&r=G Is this how to get a picture to your comment? Did the design for the bald eagle change? The one on the birds of prey wallpaper looks different. @MM: Yes! The Bald Eagle is one of the birds we have updated since we started Birdorable. Several other birds of prey and others have been / are sometimes updated from time to time. @TT: Sorry for the late reaction - yes, you can get universal avatars at Gravatar.com, and those work on this site and many others. 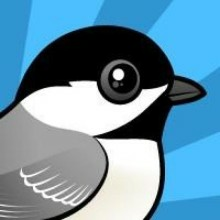 Why don't you add some shrikes?